Q Can this fixture be installed on a sloping ceiling? 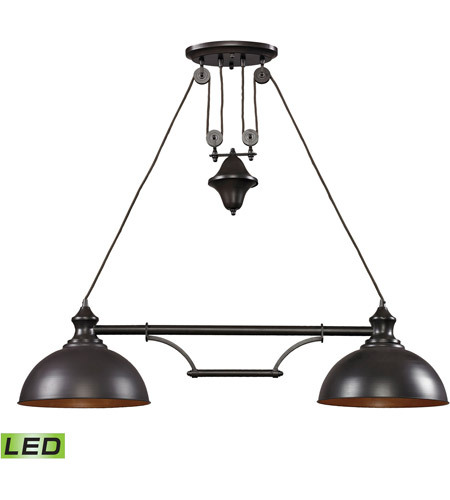 A The Elk Farmhouse Billiard Lights 65150-2-led is not suitable for a sloped ceiling. 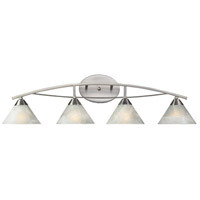 Q What is the minimum recomended ceiling height to accomodate this fixture? 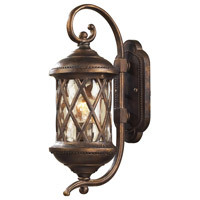 A The ELK Lighting Farmhouse 2 Light Billiard/Island 65150-2-LED has a minimum height of 30" and a Max height of 49"
Q Can the pull handle be removed? 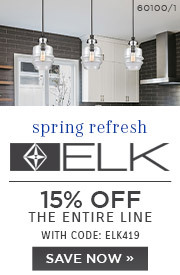 A Unfortunately, the ELK Farmhouse 2 Light Billiard/Island 65150-2-LED handle cannot be removed. 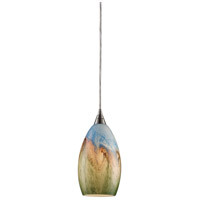 Q What is the diameter of each light on the pendant? 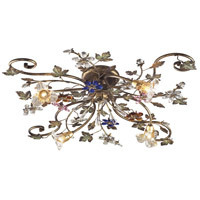 A For the ELK Farmhouse 2 Light Billiard/Island 65150-2-LED: Each shade is 13" in diameter. 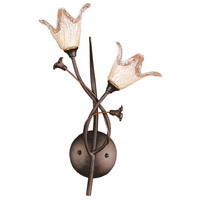 Q What is the diameter of the shades on this fixture? 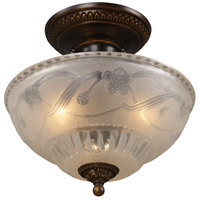 A The ELK Farmhouse 2 Light Billiard/Island 65150-2-LED shades are 13" in diameter. Q Is it possible to rewire so that it hangs 56" instead of 49"? I have 10' ceilings. Even if the warranty is voided I want to know if its possible. 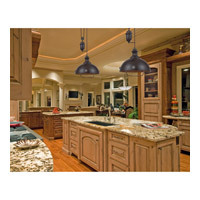 A According to the manufacturer, the ELK Farmhouse 2 Light Billiard/Island 65150-2-LED cannot be rewired to hang lower than the maximum height of 49".